Mr Sundaram was appointed as a Consultant Trauma, Orthopaedic and Spine Surgeon in Gloucestershire in 2010 and has received world class extensive training and experience. He graduated from the University of Leeds Medical School and trained in the Liverpool Region, Nottingham and Exeter. He is the Spinal Lead for Gloucestershire Hospitals and works very closely with his 25 Consultant Orthopaedic colleagues as well as the neurology and oncology specialists in the NHS and private sector. He also maintains a close relationship with the General Practitioners throughout Gloucestershire and the neighbouring counties as well as other healthcare professionals such as physiotherapists, chiropractors and osteopaths, and knows how working with a team best helps patients’ recovery. Mr Sundaram’s practice consists of both emergency and elective spine conditions. The majority of the emergency work is for metastatic tumours, spinal fractures, spinal infections, cauda equina syndrome and progressive cord compression. The elective work is mainly for sciatica, spinal stenosis, spondylolisthesis, scoliosis, cervical radiculopathy and myelopathy. More details are on his website www.itsmyspine.co.uk. Details of his practice data are also available on the national PHIN website https://www.phin.org.uk. He is recognised by all health insurance providers. 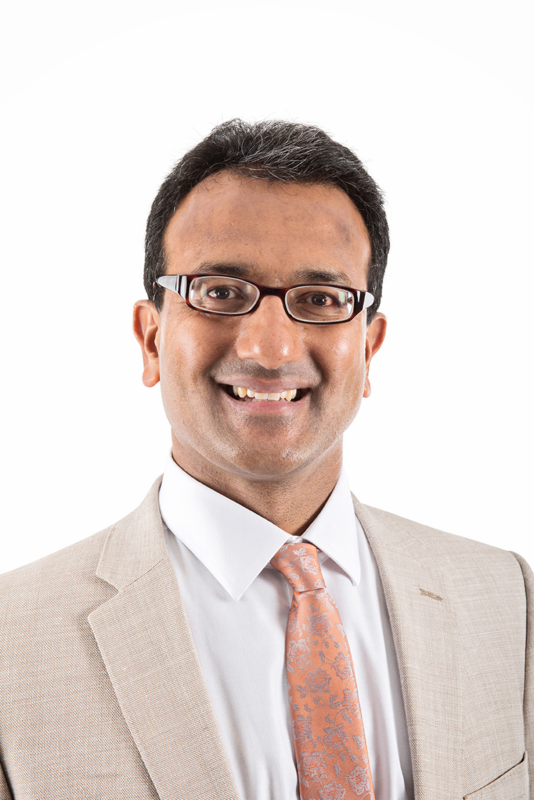 Mr Sundaram undertakes more than 3000 patient consultations per year, making him the most experienced spine surgeon in Gloucestershire as his NHS and private practice exposes him to the vast array of both elective and emergency spine pathology. These achievements have led him to receive three Clinical Excellence Awards, as well as being shortlisted for the People’s Choice Award and Team of the Year Award which he was delighted to be involved in. From November 2016, there has been a significant national change in the management of spinal disorders led by the Getting it Right First Time (GIRFT) project, NICE and the British Association of Spine Surgeon (BASS). This has led to better management of patients and the reduction of spinal procedures which have limited clinical benefits. This is not rationing by the NHS or by private insurance companies, but has been implemented to reduce ineffective procedures and improve the quality of the interventions we are delivering to further improve patient care. Mr Sundaram has received numerous testimonials from patients which are posted on his website http://www.itsmyspine.co.uk/testimonials/. Patients can also write reviews on the website ‘I want great care’ for any Consultant which he is thankful for the number of positive reviews on https://www.iwantgreatcare.org/doctors/mr-rathnam-sundaram. As Mr Sundaram has both an NHS and Private Practice, he is able to see all patients regardless of their financial situation. Patients who see him privately who’s insurance policy or funding has expired, or self-pay patients can easily transfer to the NHS under his care without a problem. Mr Sundaram has developed an excellent reputation over the years amongst his colleagues and patients and is determined to give the best quality of care to them. Mr Sundaram is a keen sportsman, he played national level tennis as a junior and plays regularly with his two children. He also enjoys running, gym work and Pilates. Mr Sundaram has done a considerable amount of research over the years and has over 50 papers, abstracts and national and international presentations in various orthopaedic specialties. He has written a book chapter in the ABC of Spinal Disorders. Mr Sundaram is also an invited reviewer for the journal Acta Orthopaedica. Mr Rathnam Sundaram does not hold a share or financial interest in this hospital, another Nuffield Health hospital or the company. Mr Rathnam Sundaram does not have a share or financial interest in equipment used at this hospital or another Nuffield Health hospital. Mr Rathnam Sundaram does not hold any paid advisory role(s) at this hospital or on behalf of Nuffield Health.